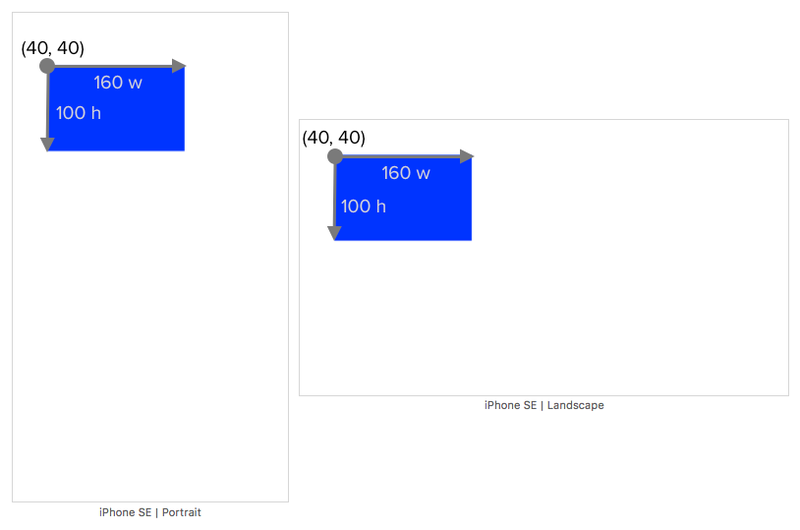 This is the second part of Making Sense of Auto Layout Series. 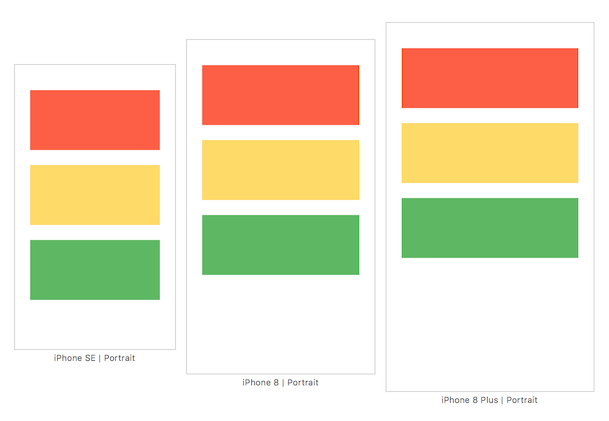 Previously, we have explained the difference between frame based layout and Auto layout with constraint. 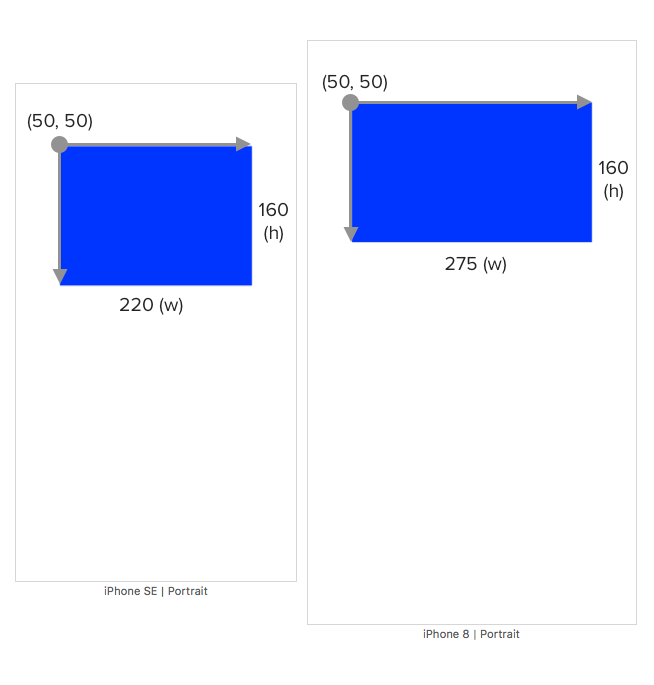 In this post we will take a closer look on how Auto Layout calculates and position view. 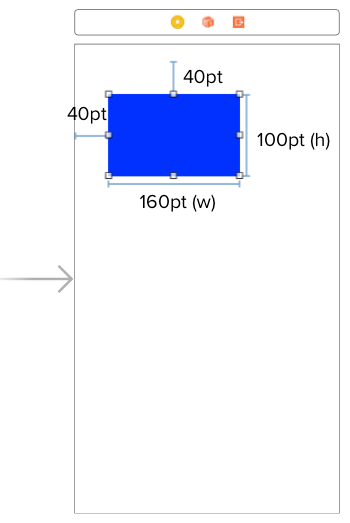 For easier understanding, assume there is an Auto Layout Engine that takes input of constraints (the constraint you created in Xcode) and app screen size (depending on iOS device screen resolution, orientation). 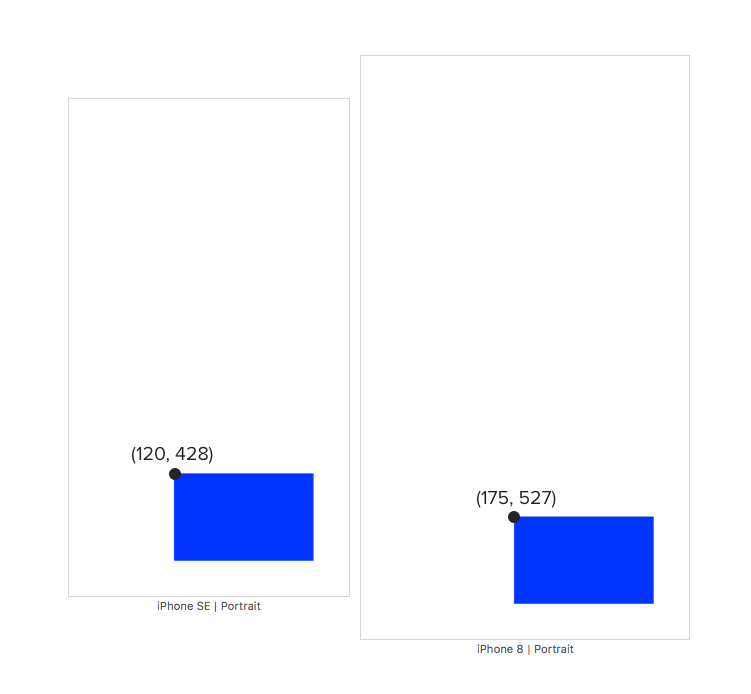 Here is the official screen resolution of each iOS devices, for UI development we will use the UIKit Size (Points) column. 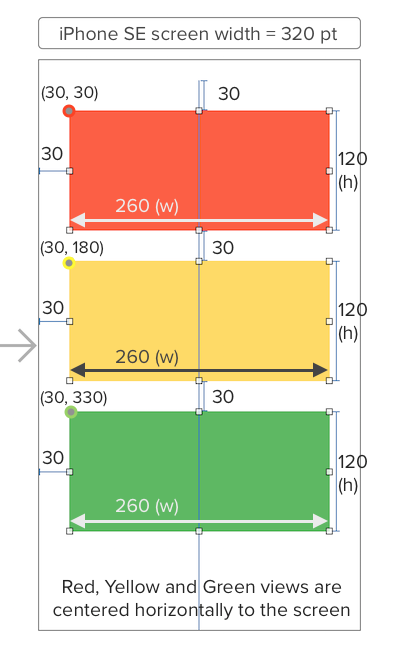 Defining constraint helps Auto Layout Engine to figure all of the above. 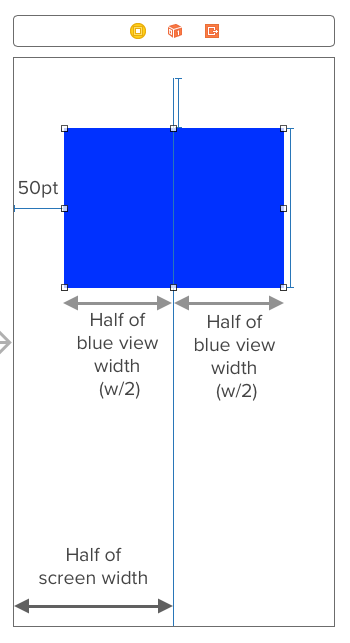 Below I will show few examples of how Auto Layout calculate the position and size of a view using simple math (~grade school math). We will discuss 4 examples and 1 exercise question in this post. From the 1st constraint, we can deduce that the x position of the view is 40. From the 2nd constraint, we can deduce that the y position of the view is 40. Using the same calculation formula, iPhone 8 (screen width 375, height 667) will calculate the x position as 175, y postion as 527. From the 1st constraint, we can deduce that the y position of the view is 60. From the 2nd constraint, we can deduce that the x position of the view is 40. 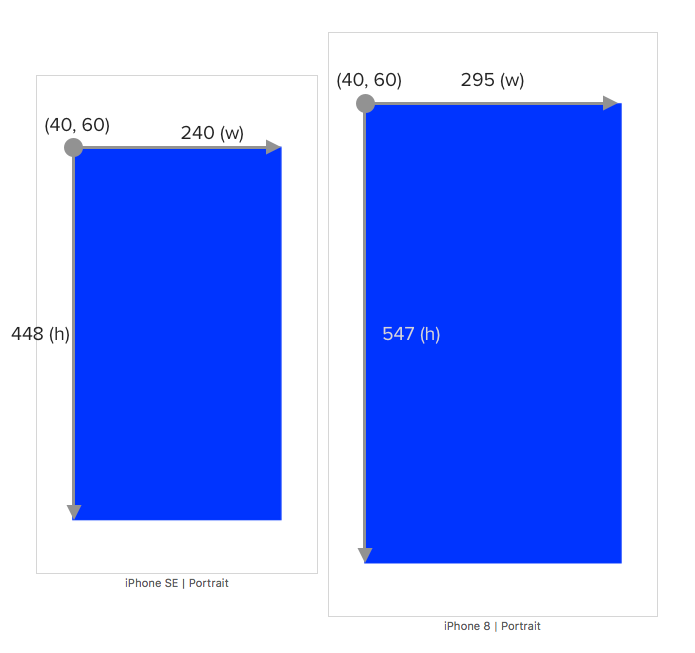 Using the same calculation formula, iPhone 8 (screen width 375, height 667) will calculate the width as 295, height as 547. From the 1st constraint, we can deduce that the y position of the view is 50. From the 2nd constraint, we can deduce that the x position of the view is 50. 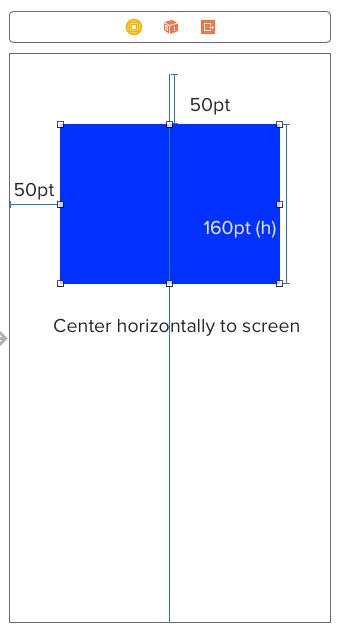 Using the same calculation formula, iPhone 8 (screen width 375, height 667) will calculate the width as 275. This example is useful for cases where you want to center a view with equal left spacing and right spacing. 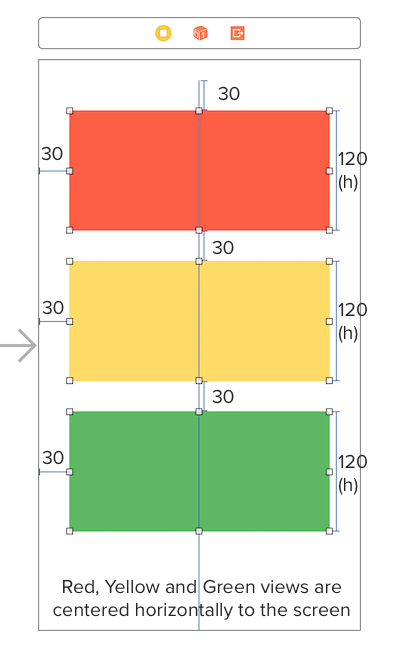 Instead of setting left space constraint and right space constraint manually to the same number, you can just set the left space constraint and set a horizontally center constraint on the view. We have discussed various examples and now its time to do some hands on calculation 📝! Although previous examples only use one view, the same concept and calculation still applies for multiple view. Hint : Start calculating from the view at the top first then proceed to bottom. The takeaway of this post is that if Auto Layout Engine can calculate all of the views position and size using the given constraints, it will render them nicely. 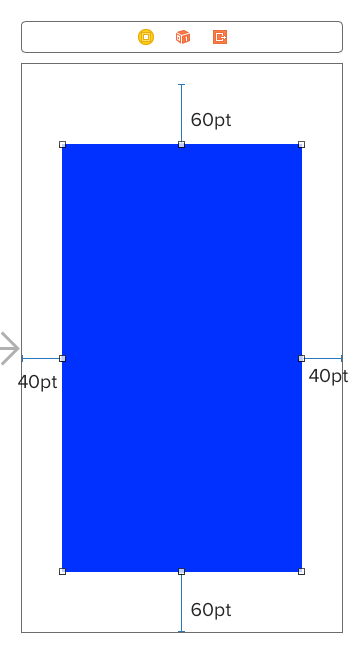 If there is not enough constraint, Auto Layout Engine can't calculate position/size of some view, it will attempt to 'guess' their position/size and thats the reason why you see some layout going haywire when constraints are not defined correctly. Here is the checklist to ensure Auto Layout Engine can render the view correctly. 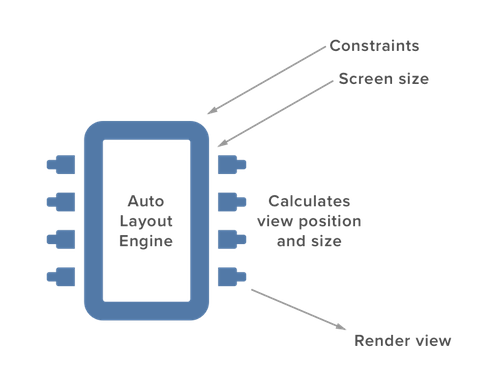 One quick way to determine if Auto Layout Engine is able to calculate them (position and size) is to calculate it yourself, by using pen and paper. If you can't deduce them using math, Auto Layout Engine can't either. Once you get a hang of it, you won't need to calculate these by hand, as long as you know how to define constraints that enable Auto Layout Engine to calculate these, your layout will look great on every device.